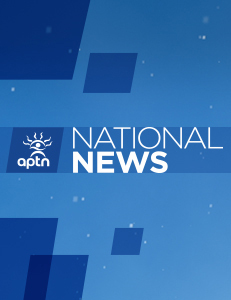 OTTAWA–Assembly of First Nations National Chief Perry Bellegarde says Canada has a racism problem across the country. Bellegarde was responding to a cover story by Maclean’s magazine claiming Canada has a bigger race problem than the U.S. The story focused on Winnipeg claiming racism in the city was the “ugliest” in the country. Bellegarde said he saw racism as a national problem. The national chief told Maclean’s he believed colonialism was at the root of racism in Canada. Bellegarde said Canada’s colonialism has spawned a litany sins against Indigenous people. “We have got to repair this relationship in this this land. It has been affected by colonialism, it has been affected by the imposition of residential schools, which is cultural genocide, it has been affected by the economic marginalization of the lands and resources being exploited without our being involved,” he said. Bellegarde said one of the ways to begin reversing Canada’s existing racism is to education children about the treaties and residential schools. Aboriginal Affairs Minister Bernard Valcourt’s office did not return request for comment as of this article’s posting. all the non natives are nothing but children of immigrants, so who are they to tell some one to go home, when in fact they are themselves immigrants, Ignorant immigrants. Yes, it’s about time the people of Canada educated themselves on this country’s embarrassing treatment of aboriginal rights. As a non-native, I thank God for 106.5 in Toronto, who continues to air the truth on weekends… It’s time we all woke up to the reality of a sad & shameful history of broken treaties & promises. The blood cries out from the very ground we walk upon. I live in Marathon, Ontario. and one evening years ago I went to the Moose Hall where we spent a lot of time as a family and volunteering in the Chapter. My husband was working night shift I told him I was going there to socialize with members. I got there and bought a drink and was going to sit down with some people and I was confronted by a miner who worked at one of our gold mines here he was coming to the bar to get a drink an we met face to face he looked at me and called me a ” ……. quaw”. He pointed right at me and I will never for get his face I was in my 50’s at the time and I could not believe what I heard, I was so upset I dropped my drink down at the bar and left upset and came home. My husband called and said why are you home and I told him what had happen. I was born and raised on the Pic River First Nation Heron Bay but we choose to live in Marathon. In my entire life I was never called this, so racism is alive everywhere for sure. Teaching kids about what happened in residential schools and broken treaties will fuel flames of hate. We need to teach what has been done in restitution as well, showing how much has been repaired and what can be done to fix inadequacies. I was raised to not trust the white man by my metis family, and I was taught not to trust the non-white man by the white people in my family. Being metis adds a new perspective because we were never truly accepted by either. I was very confused as a child as a result. I understand now though, people, no matter their age, are children and feel the need to ostracize anything they don’t understand and segregation happens naturally through differences. Skin color is obvious. You cant hide it. It sets people apart because other people look different. Then add accent, cultural differences, religious belief, and politics. Tonnes to work with to divide people. Now, people are natural competetors as well, if we are a group of people, we convince ourselves that our group is naturally better than the others at something. We pride ourselves in it. We brag. This makes other groups compete to prove themselves. I dont think anyone can “fix” racism, but people like me, although I still catch myself profiling people based on appearances from time to time, see the futility and absurdity of recognizing skin color at all. Skin color makes as much difference to personality and soul as a pair of muklucks or a kimono. The color of your shirt and pants reveal far more about a person than the color of their skin, we consciously choose our clothes, from the 400lb spandex yellow bikini lady walking in wal-mart, to the suit and tie than makes one dissapear into the 9-5 background noise. Race is not important. Also, I am not racist, I can display my Metis heritage and write metis pride on the hood of my truck in the traditional metis blue and people applaud me for it. But what if I decided to display my “white pride”? Automatically people assume. I lived in manitoba and i saw first hand that racism works both ways. I am not to be excluded. Having lived as a resident in both the United States and Canada I respectfully disagree with the assertion that racism in Canada is worse than the USA. Particularly in their South. However, sadly there is no doubt he is correct in asserting Canada does have a racism problem. Our history is riddled with shameful events in our treatment of indigenous people; as well as some immigrants such as our early Chinese. Today many still tend to treat our great country as Euro-decedent property rather than the rich multicultural society we purport to achieve. We particularly need to put focus on respect for our First Nations, Inuit, and Métis as they are the native peoples and thus hold a special place in Canada’s heritage. I like his idea of emphasizing childhood education.